An extraordinary new Body Mud which comes to you from therapeutic Dead Sea , contains precious revitalizing minerals such as Magnesium, Potassium, Sulfates, Lithium, and others combined carefully with the most soothing botanicals: Chamomile, Aloe Vera extracts and intensive natural antiseptic Tea Tree Oil, to remove dead skin cells, eliminate excess oil and enhance the reduction of fine lines appearance & wrinkles caused by aging and fatigue. Reduces muscle tension, leaves your body rejuvenated through by aging and fatigue. Reduces muscle tension, leaves your body rejuvenated through increasing blood circulation, revealing a healthy-glowing fresh body. Direction of use: Shake well before use. Gently smooth Mud over clean body in an even layer. Keep to dry naturally for 25-30min. For maximum results, you can wrap body if possible. Remove the mud using circular motion in order to exfoliate dead skin cells. 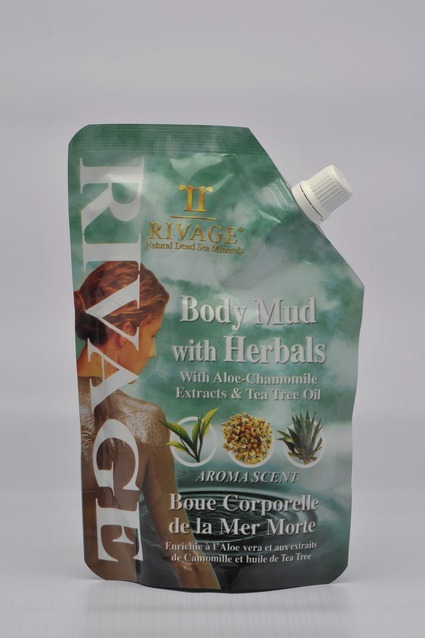 Rinse off your body thoroughly with warm water using Rivage Shower Gel. 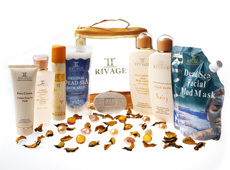 Follow with Rivage Body Moisturizing Milk & Rivage Perfumed Body Powder.